The greatest potential for improvement of outcome for patients with melanoma lies in the prevention of systemic metastasis. One prospect is the detection of circulating melanoma cells as an indicator of potential metastatic disease. The challenge is to determine whether quantification of circulating tumor cells (CTCs) or analysis of their phenotype most accurately predicts patient outcome. In this chapter, we address these issues and describe appropriate techniques that ensure the accuracy of such measures. 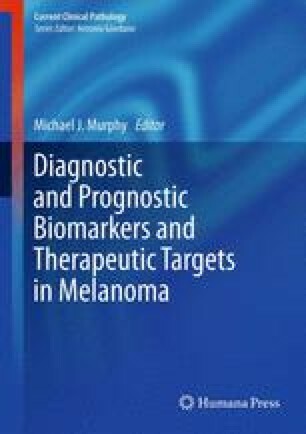 We also compare methods for isolation, quantification and characterization of CTCs and suggest informative markers for their analysis in the peripheral blood of patients with melanoma. The authors would like to thank Mr. Peter Matthews for thoughtful discussion and valuable suggestions.